Wish you all a Very Very Happy New Year 2011. I want to start first blog this year by stating few interesting facts about number 2011. The first day this year January 1st 2011 written as 1/1/11 is a day that can be written with only one digit after September 9th 1999 (9/9/99). Also January 11th (11/1/11), November 1st (1/11/11) and November 11th (11/11/11) of 2011 are dates which are written with one digit. 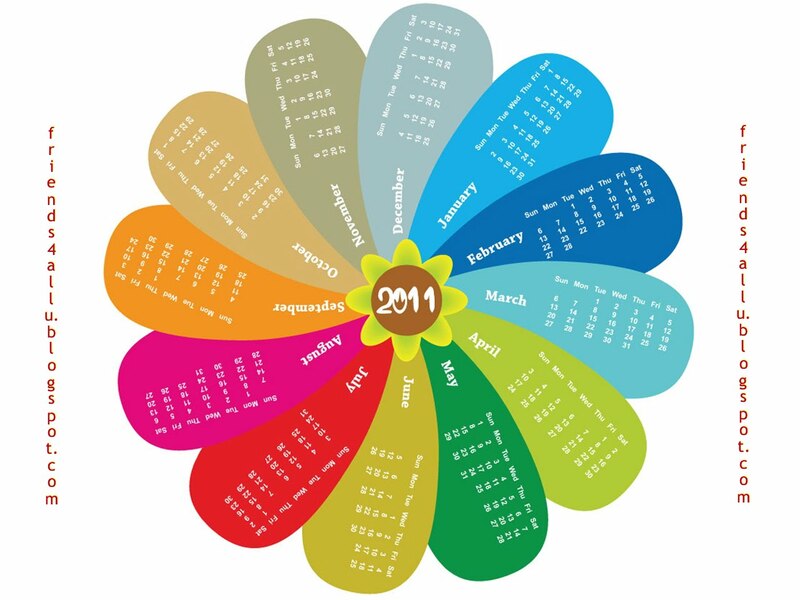 2011 Calendar from http://friends4allu.blogspot.com. Click on the image to download and save a High Resolution Calendar.